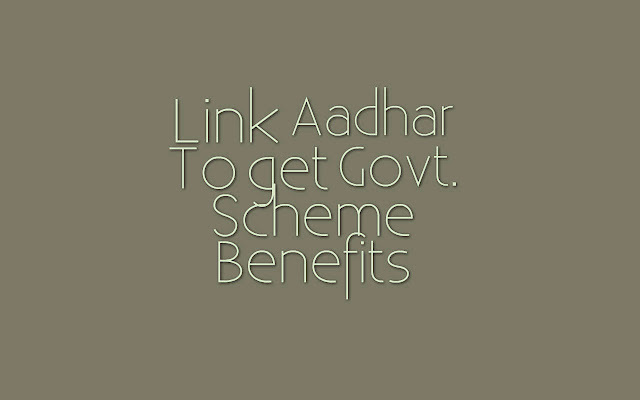 Why Government Schemes are Asking for Aadhar Card? - Is it compulsory to provide Aadhar? In the previous post, we have seen the importance of aadhar card and seen that Is it mandatory or not. But Nowadays every government scheme wants aadhar card to be attached to their account to get benefits. So, we have searched for this answer on UIDAI's official portal and here is some important point we come to know. The main aspect behind the linkage of Aadhaar ID with everything is to keep a track of each and every bonafide citizen and there statements so as to know where and how they are using their earnings and for what purpose. The bright aspect is that in this way they can fight against frauds and illegal activities but it also has drawbacks as it kills the privacy of every individual. The Aadhaar Bill has been passed with no public consultation about the privacy safeguards necessary for such a database and no provision for public or independent oversight. The rights to liberty and freedom of expression cannot survive if the right to privacy is compromised. Aadhaar based Direct Benefit Transfer (LPG Subsidy): The 12 digit individual identification number on Aadhar card is used to get LPG subsidy amount directly in the bank account. This DBTL scheme is named as PAHAL. To get this benefit you need to visit your area’s distributor and get E adhaar number linked to the 17 digit LPG consumer number. Although now you can get direct benefit transfer by linking a bank account to the LPG number. Read more about PAHAL scheme. Jan Dhan Yojana: The Guinness world record holder scheme Pradhan Mantri Jan Dhan Yojana (PMJDY) accepts Aadhaar card/number as the only document sufficient to open the bank account. Although you open PMJDY account after producing other documents as well. The benefits offered are RuPay card, free zero balance savings account, life and accident insurance and many others. Read more on how to open PMJDY account with no valid documents. Passport: This benefit of Aadhaar card will relieve you the most! If you have an Aadhaar card, you can get a passport in just 10 days. Under this format, police verification will be done at a later date as opposed to the previous rule requiring police verification which used to be time-consuming. Also under the new government’s rule, if you need a passport, Aadhaar number is compulsory. Digital Locker: Government of India has launched a digital locker (DigiLocker) system for everyone for storing all personal document on the government’s server. And the sign-up process for DigiLocker requires a person to link his/her 12 digit Aadhaar card number. Check out the benefits of DigiLocker. Voter Card Linking: Aadhaar card UIDAI number would be linked to the voter ids. This action is taken to eliminate bogus voters. Once an Aadhaar number is linked, it would become impossible for a multiple voter ID card holder to make it’s illegal to use, as registration requires voter card holder to be physically present and produce Aadhaar card to the polling booth officer for linking. Monthly Pension: All the pensioners from select states will now have to register their Aadhaar card number to their respective department in order to receive a monthly pension. This move was initiated as there have been fraudulent incidents as beneficiaries requesting pension were found to be fake. Opening bank account: Aadhaar letter provided by UIDAI is now acceptable by banks as a valid proof to open a bank account. In fact, it can serve as an address proof as well provided address on Aadhaar card and address proof perfectly matches. i.e. no need to produce a bunch of documents to the banks for opening the account. Check out the benefits of linking the Aadhaar number and bank account. Digital Life Certificate: Aadhaar linked digital life certificate is another initiative which was launched by the Department of Electronics and IT. Named as “Jeevan Praman for Pensioners”, this system will end the process where pensioner had to be physically present at Pension Disbursing Agency to avail pension. So, If you haven't Enroll for Aadhar Card then Do it as soon as possible. Is it Mandetory to enroll for Aadhar Card? There is no Doubt that Aadhar Card is one of the Most Important ID Proof Nowadays and Government is putting more weightage on Aadhar. If you don't have aadhar card than may be You are not eligible for many government Schemes and Benefits like DBTL. But the Main question is that Is it really Mandetory to have one Aadhar Card. Let;s deep down and see the Reality of UIDAI Aadhar Project. 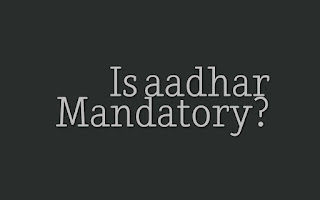 Is aadhar Mandetory or Not? 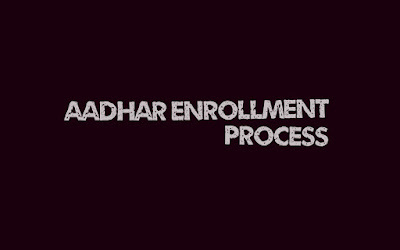 In this post, we are Going to discuss a complete Process to get Aadhar Card from filling aadhar application form to check aadhar card status online and download eaadhar. 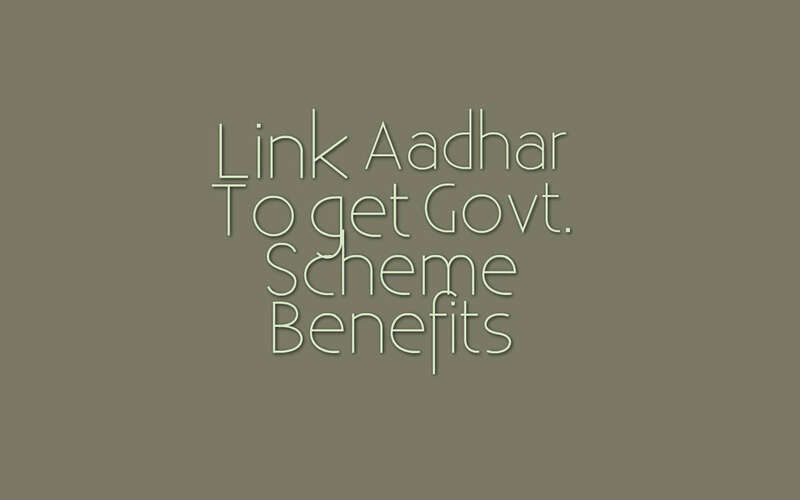 The process is important because many government Schemes made aadhar mandatory to get benefits. The Process of Aadhar Enrollment includes visiting Enrolment Centre, filling the enrolment form, getting demographic and biometric data captured, submitting proof of Identity and address documents, before collecting acknowledgment slip containing Enrolment ID. Will my PAN become non-functional if I do not link it to Aadhaar? To stop Tax Fraud Aadhar seeding with PAN was required.Linking PAN with Aadhar Fraudster can't generate Duplicate Aadhar Card for Illegal use or to save Taxes every year.According to the government, this will reduce the corruption (Who knows!!! )It will make the Identification process fast and easy.